Are You An Investor ? 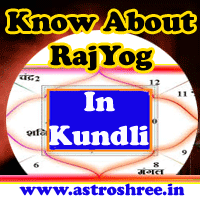 Some Important Information, What is a company, Rights of share holders, Types of company and shares, Benefits of shares, make money on-line through shares, Astrologer for best analysis of horoscope/kundli/birth chart. If you are an investor? , Do you invest in share market regularly? Do you want to gain profit from share market? , Do you want to invest in share market? , Do you not have proper knowledge of share market?, Do you want to play the game of share market then you need proper knowledge of this market. Company is a type of business organization which is run by share holders. They elect board of directors to run the day to day activities of company. Capital- The initial amount which is invested in business is called capital. Equity Capital- This is the capital which is taken by share holders initially. Company also takes loan from banks, financial institutions and other people to run business. Debenture- people if giving loan to any company then they are called debenture holders. 1. Share holders don’t have the right to interfere directly in company day to day activity. 2. They have limited liability which is up to the buying and selling the shares. 3. Share holders can sell their share any body as per their wish at any time. 4. At the time of loss share holders don’t have the responsibility to pay the debts by giving any extra money to company. 5. They have the right to get share in company profit. Only public limited companies have the power to issue their shares in market. No private company can issue shares in market. are stored. This is very useful to send dividend and other information time to time. In these days these informations are also kept in National depository Limited and Central Securities Depository Limited. Profit and Loss Account etc. This also contains directors’ report in which announcement of dividend, future planning etc are present. In preference shares the profit ratio is fixed. In case if company gets closed then preference share holders can get their capital and profit ration before the equity share holders. Some times it happens that company is unable to give profit due to not profit in that case company issue cumulative preference shares and give it to preference share holders. In this way their profit gets accumulated and when company comes in position to pay their profit they provide the payment to them. Till then equity share holders don’t get the profit. The main Benefit of Equity share holders is that if company grows then equity share holders get the benefit in same way. They also get bonus shares time to time. Time to manage the activities company needs extra finance for which company sell the equity shares preferably to existing share holders. These shares are called rights share. These shares can be sold on at par basis or Premium Basis. ‘At Par’ means equity shares are sold on old rate and ‘Premium’ means shares are sold on higher rate than old rate. Generally companies keep a part of profit to meet the unexpected problems in future. With time this reserve increased very much. Now when company needs finance then they issue bonus equity shares to investors free to meet the expenses and thus company use the reserve finance in typical time. Know the reasons of your failure in share market through astrology. Know the lucky ways like gems stones, spells, daan etc to open the way of success. Get the minute analysis of your horoscope by one of the trusted astrologer on line for bright future. Contact astrologer now for analysis of horoscope and to know the solutions of problems. Go Here. How To Trade Shares- How to Buy or Sell Shares?